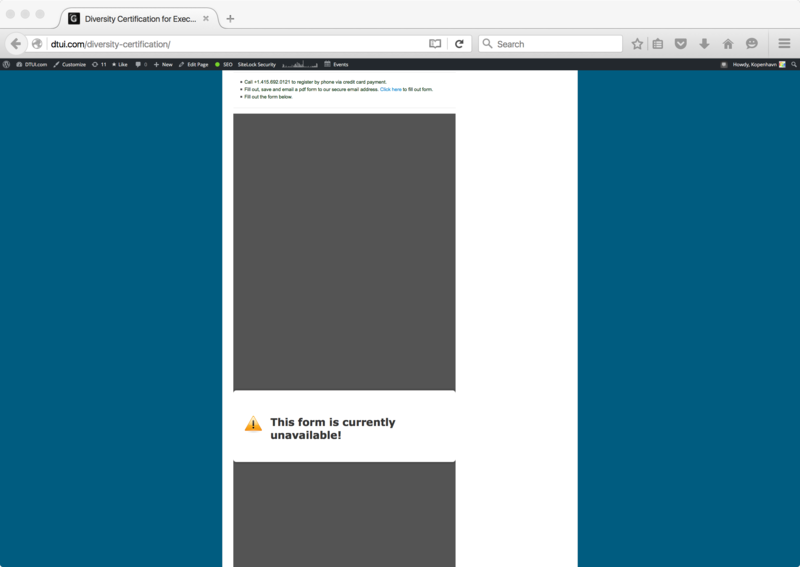 The Jotform located at http://dtui.com/diversity-certification is currently unavailable. We are not clear why. Can you investigate this so that our customers will be more satisfied when they come to the page? 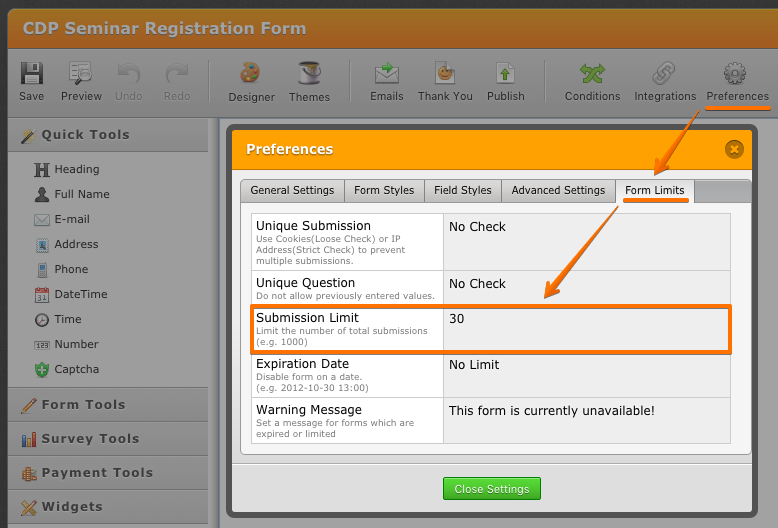 It looks like that CDP Seminar Registration Form was automatically disabled due to reaching its submission limit (30 entries).